The scientists managed to uncover the potential of water waves that have not been known. One of their findings helps athletes achieve ideal fitness conditions. Tommi Wolst's swimmer wants to improve his technique. He practiced in a stream pool. At the next European championship he wants to win a medal. It's an ideal way to adapt to achieve the goal of the exercise. The effect, though Tommi didn't go, his performance was increased steadily. Every movement was recorded and analyzed by the camera. Every level of performance can be trained here, from maximum speed to long-term stamina. Dirk Franke’s swimming coach: "In high-performance sports it is important to improve on the details, the advantages in swim current pool, we can see changes in various angles on the arms or legs. We can directly advise the athletes how to do it better". 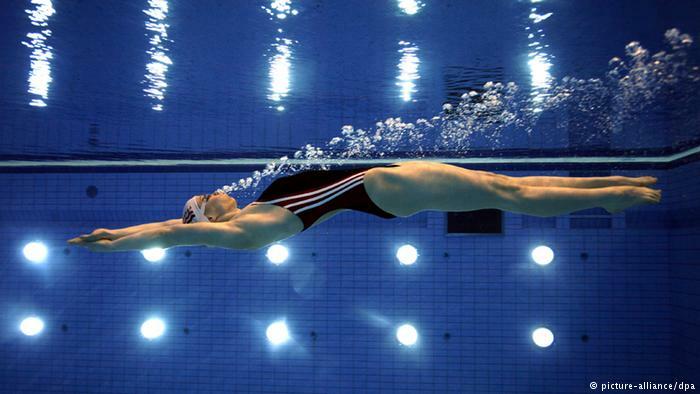 The artificial currents are not only attractive for the swimmers. Pentathlon and triathlon athletes use this facility to practice and analyze their performance. Frank Sellin is the developer of the swim current pool. "We can set at speeds from zero meters per second to 2.5 meters per second, it’s means we can simulate the currents that the swimmer can not navigate. However, the average of current in the pool is just as strong", Sellin said. Water still has the other potential. The weak currents are ideal for gearing therapy and strengthening the muscles. "Rehabilitation in water is certainly more intensive than being in calm water or on the land. There are advantages of floating position, blood circulation and massage effect", Sellin said. Starting from balance exercises or improving body movements --- the flowing water can increase the effect and accelerates accomplishment. At Dresden Engineering University, the current phenomenon is investigated further. The scientists use ping pong balls to simulate what happens if water currents want to pass through the obstacles. "We are interested in the complex phenomena that occur in turbulent currents. We see some examples of phenomena that occur due the current interactions with the obstacles", says Jochen Fröhlich, a technology expert at Dresden Engineering University of German. The bubble columns are often used by industry. This is because the water bubbles accelerate chemical reactions and create new materials. "As soon as a bubble rises upward, can be seen in the column, the bubble moves in zigzag". "In the swim current pool, the principle used is the same too. Only the situation will be reversed. The ping pong ball is in the middle of the current and pressured. We hope to be informed about the impact of changes between current dynamics and the dynamics of the sphere or the dynamics of the bubbles", Fröhlich explained it. The scientists also created very complicated models using solid particles such as sand. The goal is to examine sediment displacement in rivers and lakes. Now even can be estimated the movement and reaction of algae in the water. Fröhlich: "This experiment is not done in detail, as leaves and stems of algae have a complex geometric features. That we don't take into account in order to examine the basic character of the current". Algae in the swim current pool and even in wind tunnels. The experiments developed by these students to simulate the effects of pulse movement on chemical reactions in the water. The scientists are very enthusiastic about the current process that has never been studied. Algae experiments also provide the other important of information. "This interaction is very important for the exchange of nutrients and pollutants, such as accidents who involving the chemicals material, how pollutants fall in the waters and their impact on crops? ", said Fröhlich. Dresden University is a pioneer in the development of model simulations for the complex currents. This research is also very meaningful in other fields, such as animal rehabilitation. The swim current pool for the first time conducts experiments with four-legged animals. Dogs, horses, and even camels can put their feet in warm water. The principle of backflow is not only beneficial for the humans.